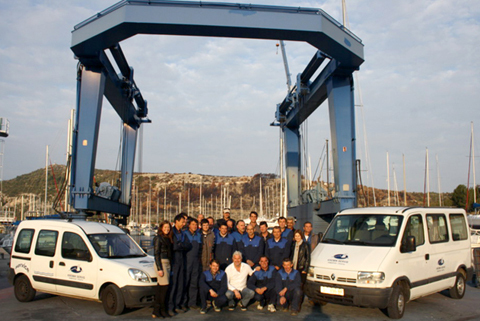 Kremik Servis was founded in 2006 and since then it has been the place to go for sailing boat and motorboat repairs. We are located in one of the most beautiful naturally protected marinas in the Adriatic – Marini Kremik – Primošten. Kremik Servis has 20 full time employees. The employees are dedicated professionals with decades of experience in sailing and motorboats maintenance.